Wales’ wheelchair tennis players have enjoyed a summer of success at junior and senior level. The seniors topped the South West group in the new Dan Maskell Challenge, and the less-experienced juniors won medals at the Sainsbury’s School Games. The Dan Maskell Challenge is a regional team event of four singles and two doubles matches, with fixtures played home and away. Wales proved too strong for opponents, Plymouth and Taunton, and won all their fixtures to qualify for the finals on 31st October / 1st November. The Wales squad comprised Debbie Brazier (Newport), Ashley Davis (Cardiff), Anthony Evans (Porth), Martin French (Cardiff), Paul Furber (Blackwood), Tony Heslop (Swansea), Shaun Swetman (Pontypridd) and Tony Tibbs (Cwmbran), who all play at David Lloyd Cardiff with the Cardiff Wheelchair Tennis Club and at Newport Tennis Centre. Wheelchair tennis was a late inclusion into the Sainsbury’s Schools Games, held in Manchester, giving team manager Dave Liddiard only four months to build and train a squad. Through Tennis Wales and Disability Sport Wales, three players Ben Johnson-Rolfe, aged 17 from Llanidloes, Ben Jones aged 19, from Llanfair Caereinion in Powys and Jack Chapman aged 13, from Cardiff heard about the opportunity and accepted the challenge. 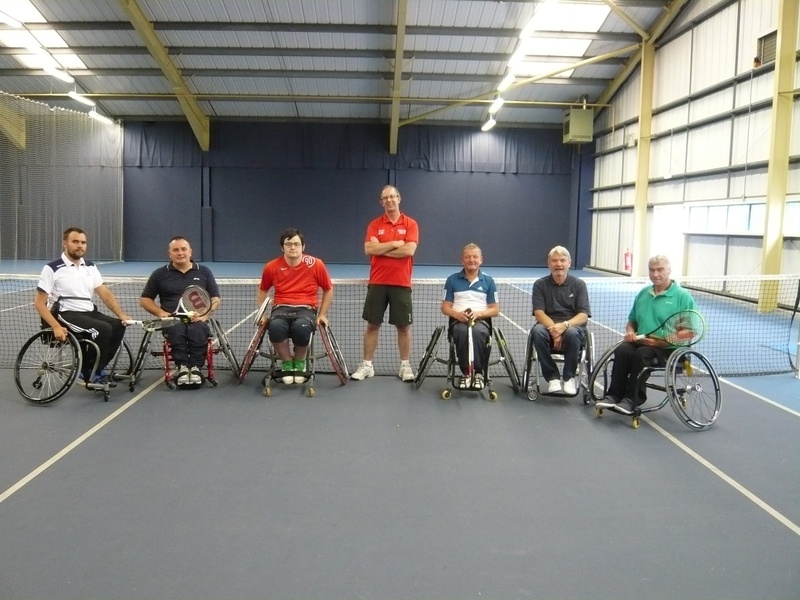 After intensive coaching and with help from Cardiff Wheelchair Tennis Club for the loan of their competition chairs and to YC Sports, Cardiff, for arranging Yonex to sponsor them with a new racket each, the team performed well at the games. The relatively inexperienced Welsh players produced some excellent tennis and Ben Johnson-Rolfe finished sixth in the singles and won silver in doubles; Ben Jones finished seventh in the singles and won bronze in the doubles; and Jack Chapman finished fourth in the doubles. Peter Drew, chief executive of Tennis Wales added: “Dave and his teams have really done Wales proud this summer, and I hope their performances will be an inspiration to anyone thinking of giving it a go.